Discussions of the boundary dispute often put a somewhat exaggerated emphasis on the Indian predicament of being forced to maintain frontiers inherited from British imperialism. Most of the new countries were faced with similar circumstances and took it as a matter of course that their administration should cover the entire territory left by their colonial masters. 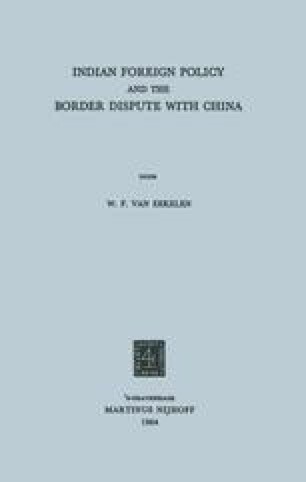 Moreover, Nehru himself has pointed out that the borders of China also were the result of prolonged and violent conquest.1 Yet it has taken India many years to shed her apologetic attitude. Emotional and imprecise slogans condemning colonialism as “permanent aggression” had produced a false impression of a dilemma concerning the legitimacy of the territorial legacy.